In terms of performance, Sony's IMX586 image sensor rivals that of the high-performance SLR cameras and allows users to capture state-of-the-art, high-res pictures with a smartphone. 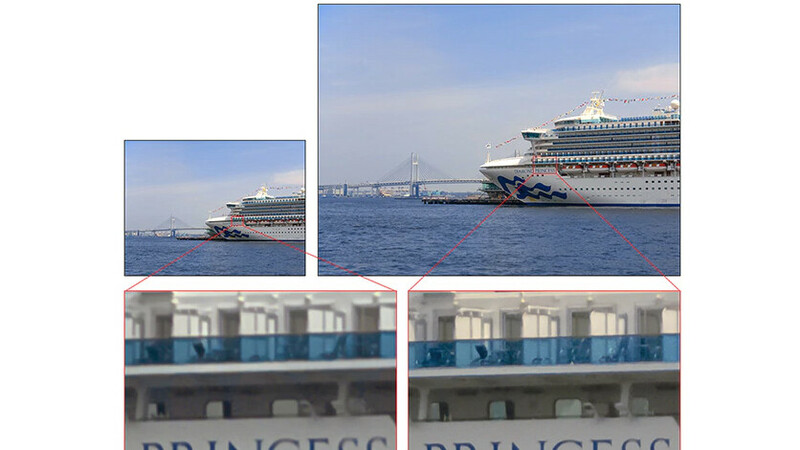 Sony included its exposure control technology and signal processing functionality directly into the image sensor, which enables real-time output a much better dynamic range four times greater than conventional units. Also, IMX586 uses the Quad Bayer color filter array, where adjacent 2x2 pixels come in the same color allowing for a higher sensitivity shooting. On top of that, during low light capturing, the signal from the four adjacent pixels are added, further increasing the sensitivity to a level equivalent to that of 12 megapixels, which results in bright, low noise images. The new CMOS image sensor will start shipping in September, but it's yet unclear when we will see the first smartphones packing Sony's IMX586 sensor. Sony is doing a great job with its Exmor sensors, not so with the Xperia lineup. Still wondering why they do not put the best camera hardware (even skipping on OIS) in their smartphones. EIS might be good but is it to cut cost? Imx220, imx300 and imx400 were the most expensive in their times. Cam module is not just sensor + lens.. Pixel = 1/2.3 no OIS 6p = 1/2.3" no OIS P20 Pro = 1/1.7" no Ois Also unless you go faster than 1/16s OIS is not necessary. If you choose 1s or more, even devices with OIS need tripod. Slower shutter is not supposed to be used for moving things. OIS is not good for video because of jelly effect. P20 Pro has OIS in all 3 lenses. What who say? There's been a whole article here on phonearena about the 3 OIS lenses of P20 Pro. You could've atleast gotten your facts straight after my previous comment. "... World's smallest pixel size of 0.8 μm" Usually speaking small pixel size is not something to be proud of; sensors with small pixel sizes are usually associated with more noise. As for" SRL image quality", such a thing is simply impossible due to physics-- an APS-C sensor captures 16 more times light (surface area) than a ~1/2.5" (smartphone) sensor. This jumps to 35 times for full frame. A smartphone sensor simply cannot compete in image quality without defying physics Shame on you, Phonearena for regurgitating press releases without doing any analysis or fact checking. I completely agree with you. PA merely does creative copy and paste job emphasing in what is probably in the source material but with no corelation to the real world scenario. On the other hand PA shared it with us so thanks them for it. Perhaps they got their own trick/invention to deal with noise in small pixel case? Let's don't judge before it revealed its capabilities. Yes.. But this one is 1/2". Then combined to a monochrome of same size it will give an area near 9x than 1/2.5"
When will Sony learn that MOAR megapixels does not make for a better camera? So Sony should learn from you to make better sensors? Not at all, but they could learn from literally everyone else. Ill believe it with my eyes seeing the results of the pictures themselves i could care less what PhoneArena, Sony, or the comments have to say. But don't be quick to believe without Pixel or iOS camera software even if it's Sony's own software itself. I want to see this hardware with Pixel software than be the judge. Also don't want this hardware to be judged through some LG, 1+ or random Chinese OEM software. Hope people are smart enough and not quick enough to judge this advancement this time. Posters are throwing out the standard "Tiny pixels!!" line. I think I'd wait to see it in action before I mock it. Exactly! The tech experts has just become morons repeating what's easily established in majority mindset.